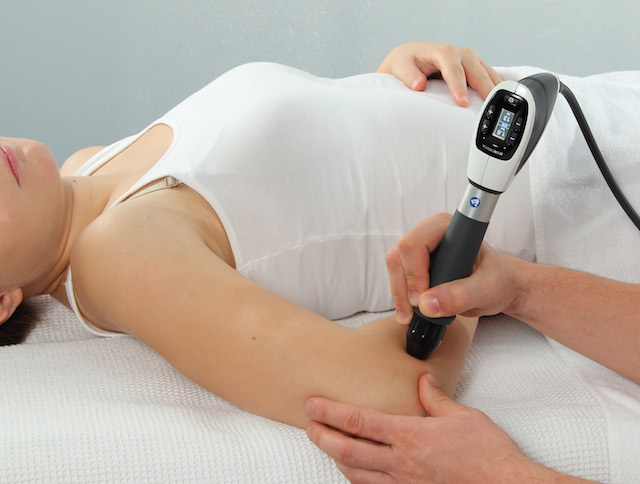 The extracorporeal shockwave therapy (ESWT) is a modern technique that can be applied directly in the office in 1060 Vienna. Shockwaves create small microtraumata in the painful region and thereby induce a neo-vascularisation (new bloodvessels). The increased blood supply promotes tissue healing. The treatment is done in a series of 3 to 4 applications. Modern technologies allow for a gentle treatment. In most cases local anesthesia is not necessary. Pain reduction can be seen after a few weeks.